Passengers have been urged to reprimand drivers, who drive recklessly, and not keep quiet while these drivers put their lives in danger. “You sometimes have a commercial bus driver, speeding on the shoulder of the road to avoid traffic, with ten to fifteen passengers, seated quietly without a word of protest, against their very lives being trifled with.”. Reverend (Rev). Doctor. Francis Nyarko, Senior Pastor of the End Time Revival Centre, Assemblies of God-Ghana, Adenta Estate, said this at the Climax of the Heritage Month celebration of the Church, on Sunday in Accra. He said as citizens, it was the duty of everyone to contribute towards the well-being of the country, by insisting that the right thing is done whenever the need arose. He said plans to mount CCTV cameras to help apprehend reckless drivers was commendable, but had to be backed by increased highway patrols. “Passengers must more than ever before take responsibility for their safety, and not allow careless drivers to toy with their lives,” Rev. 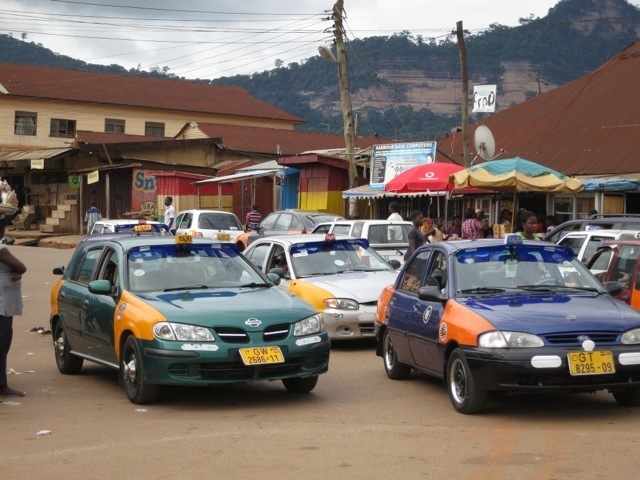 Nyarko said, adding that the establishment of rest stops for long distance drivers as well as ambulances to respond to emergencies, was also most needed. Rev. Nyarko touched on the need for the citizenry to build upon their God given heritage and said, Ghana was strategically located in the centre of the world, and was well equipped to overcome all her challenges. Rev. Nyarko added, that there was the need to take a keen look at the tourism industry, because it was a key economic driver and the fourth largest foreign exchange earner in Ghana. “We have all that it takes to move tourism from the fourth to the first position,” he said. Mr. Akwasi Agyeman, Chief Executive Officer (CEO) of the Ghana Tourism Authority(GTA), on behalf of Madam Barbara Oteng Gyasi, Minister of Tourism, officially declared the closure of the Heritage Month celebration and said, when people patronised local goods and services, they in effect generated employment and income generation for Ghanaians. He commended the church for the initiative and described the event as a seed that would yield enormous positive returns in the near future. Dr. Thomas Owusu Mensah, renowned Ghanaian international scientist, urged young Ghanaians and Africans as a whole, to strive hard to change the age-old perception that nothing good come out of Africa or black people. Dr. Mensah who is one of the four creators of the basic systems that resulted in the internet, urged Africans, especially the youth, to resolve to prove to themselves and the world, that good things could also come from African and black people. The Heritage Month celebration of the church, has been set aside as a period to take a close look at the potentials and prospects of the country, with regards to its socio-economic progress, and the general well-being of the citizenry and every other person.